As the facilitator goes, so goes the effectiveness of the program. We say this in our 24/7 Dad® curriculum and I experienced it firsthand while volunteering with my local county government. The facilitator I sat under was very effective. 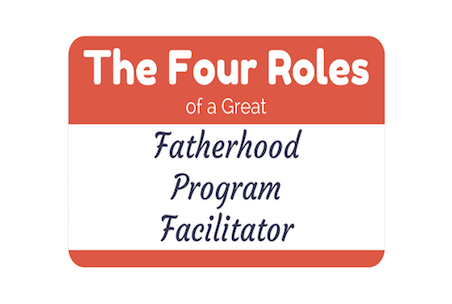 In reflecting over the last 12 weeks of sitting in sessions, I was reminded of what our curriculum calls the four roles of a great fatherhood program facilitator. In this post, I'll review the four roles and offer observations from my experience as a fly on the wall during a local 24/7 Dad® program. We say in the 24/7 Dad® program (the 12-week curriculum you can find here) that the actual curricula is nothing more than paper and print. 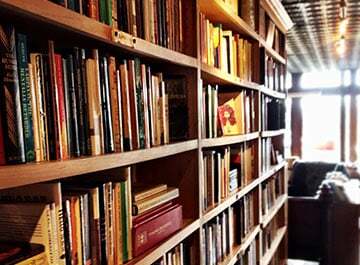 While it's evidence-based and has helped thousands of dads, it's only worth the space it takes up on the shelf. In order to change folks, your program must be implemented by quality facilitators. So what makes a great facilitator? 1. A Great Fatherhood Program Facilitator is a Nurturer. First, the program facilitator needs to practice what our program calls "the philosophy of nurturing fathering and parenting". 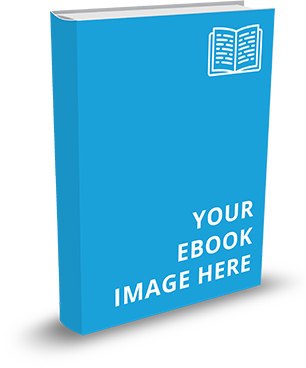 Will you challenge fathers to develop an empathetic, compassionate attitude toward caring for themselves and others? Every week, the facilitator I sat under started class by going around the room and asking, "What did you do to nurture yourself this week?" We took a few minutes each session to discuss what each dad did to nurture themselves. One week, a dad might say, "nothing". This was cause for discussion. To a new group of dads, this exercise may seem unnecessary. But understand, for many dads who attend your group, nurturing themselves has been the last thing on their minds. It's your role to help convey the importance of nurturing. In most cases, for the dads you lead, you will be serve as the Master Nurturer...practicing and preaching the art of self-care. 2. A Great Fatherhood Program Facilitator is a Scientist. As a facilitator, you're the scientist for your group. You will be the authority who will support or refute all of the myths and stereotypes that guide the parents you work with. Your dads will think they are doing what's best in raising healthy children, but they may not be. Whether it's how to communicate effectively, how to properly discipline, or even how to handle parental history, you will be the go-to reference for understanding and explaining what's best for raising children. This will take experience and constant learning on your part. I experienced the facilitator as "scientist" firsthand as my facilitator administered assessments on the dads in our group. In my earlier post, I mentioned my facilitator balanced welcoming the dads to those first sessions with keeping their interest AND getting applications and assessments completed. Aside from getting all of this information at the start of the program, my facilitator explained the assessment scores of the group and of the individual. He then compared the scores to past groups in the county. Taking the time to assess dads at the beginning and again at the end of the program can be difficult. But, it can also be the catalyst for you (as the leader) and the dads becoming self-aware. 3. A Great Fatherhood Program Facilitator is a Guide and Student. As we point out in our 24/7 Dad® program, guiding fathers to become students of their own history and current behavior helps them gain awareness and an understanding of their behavior. You're the guide and student for the dads you serve. The facilitator I sat under has worked with fathers and families for over 20 years. Not only did I experience his compassion as a guide, I noticed his willingness to learn. He's a student, even after all of his years of experience. For example, I watched him offer constructive feedback to one of his co-facilitators at the end of one session. Then, a few weeks later, I watched as he sat all of his volunteers down for a meeting where he asked for feedback on himself, the other leaders, and the program. Here's the thing...he listened to the responses! He didn't rush our conversation or offer rebuttals. He took his time, listened, took notes, and offered thanks for the feedback. He then explained how he would work to implement these new findings in future groups. This is being what it takes to be a guide and a student. Strive for this mentality as you lead your group. 4. A Great Fatherhood Program Facilitator is a Teacher. The great program facilitator is also a great teacher. The teacher promotes the growth of fathers through self-discovery by providing instruction and opportunities to learn through fathers' own experiences. We say in our program, "A great facilitator engages and challenges fathers to develop new skills, attitudes, values, and behavior while remaining committed to the goals, philosophy, and practices of the program". I watched as my facilitator was a master illustrator. He brought in props for certain tough discussions. He was ready with ice breakers for those first few weeks when the dads were quiet. He was always ready for discussion and made the room of 15 dads comfortable and open for questions and topics of consideration. These are the roles that make for a great fatherhood program facilitator: being a nurturer, being a scientist, being a guide and student, and being a teacher. Invest in the fathers and families you serve by investing in these roles and you will have an effective program. 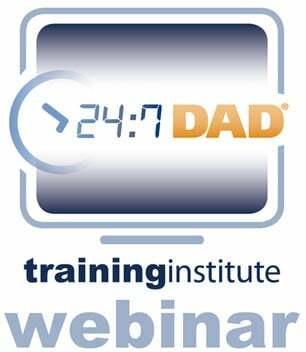 Do you consider yourself a great fatherhood program facilitator? Why or why not? Remember, we have all types of training programs to help you learn how to be effective.